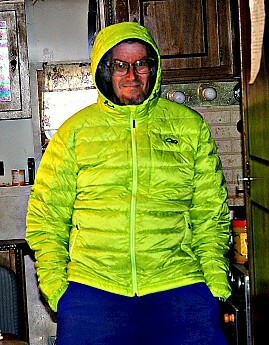 I recently bought a new down jacket made by OR Outdoor Research, the men's Transcendent Hoody. I bought it both for looks and warmth. I ride my bicycle to work every morning 6 miles. When it's quite cold (was 22 yesterday at 6 am when I did) with a wind chill of about 7 degrees biking at 20 mph it kept me very warm. I bought the color called Lemongrass with Evergreen color inside. I recommend it for both style and comfort. It has two large zippered hand pockets outside and a left chest large zippered pocket too. The waist and hood have drawstrings that tighten both for around the head/face and waist. The cuffs are cut snug and its front main zipper is windproof. I have found no weaknesses in the jacket so far. I bought the OR Transcendent Hoody about a month ago from their online store. I got it mainly right at first for keeping me warm on my daily bicycle ride to work early in the mornings when it's cold outside and the wind chill is colder as I move through the air. It has both a drawstring waist and also one around the hood to hold it around the edges of my face. There are tow large hand pockets with zippers that pull up to close making it easier to close the pockets with ease. And there is a left breast pocket large enough to hold other items with a easy pull zipper as well. The cuffs on the wrists are cut fairly well to help hold out the cold there very good. The front main zipper has a windproof backing. The whole jacket holds away the air from passing through. I have yet to be cold in it and it does seem to vent fairly well keeping me from overheating in it. In the month I have been wearing it, the jacket has been a warm, desirable item to wear when I cycle to work. Wondered when you would review this Gary. What do you think about the review that says it leaks down? Not the lightest, not the warmest, but thoughtful features and the kind of durability that makes this a great hiking/backpacking companion for a great price. At the time of this writing we're just heading in to summer—THE best time of year to start shopping for a new down puffy. The sales are out there if you don't absolutely need the latest colors. If you're searching, and want a great performer without breaking the bank, the OR Transcendent Hoody is definitely one to take a look at. If you know OR you know they make quality stuff with nice features. The Transcendent has it covered with a drawstring hem, elastic cuffs, softly lined and well positioned zippered hand warmer pockets (one doubles as a stuff sack which creates a decent pillow), a zippered chest pocket, adjustable and good-fitting hood, and two huge internal pockets that are great for gloves, beanies, a water bottle or gas can if it's cold. The Transcendent uses 650 fill, responsibly sourced, but doesn't list how much down is used. Given its warmth I'd say they're on the generous side and it maintains its loft for a long time between washes. They use a 20D denier ripstop for the shell and a nylon 44D tafetta for the lining. While it doesn't hold up to much rain, if the DWR is reapplied it handles soft snow well. While it's a touch on the heavier side at 1 lb., the durability is worth a few ounces for me. This is a jacket you don't have to baby. I've had mine for about five years with a lot of trail use. While it's definitely sporting some Tenacious Tape I've never had a problem with down leaking. The rips I have would be on any jacket and I'm sure it's stopped a lot that would cut into other puffies. The fit is a little strange though. I'm 6', 185 and a solid Large in everything. But I'd read OR had moved a bit towards "American-sizing" with some increased room in the belly. I ordered the L and M so I'd get it right and went with the M. The L was a bit more comfortable through the shoulders and chest, but I like the slimmer fit through the torso. Still room for a base layer and fleece but it might be one to try on before you buy. As a pull-out-of-your-pack-on-a-break jacket it's awesome. As a sittin'-around-camp-early-morning jacket I've been good down to 20 with a merino baselayer and R1 Hoody. For hiking I'd say its sweet spot is about 25 to 35 zipped up. It definitely delivers warmth when you're on the move. 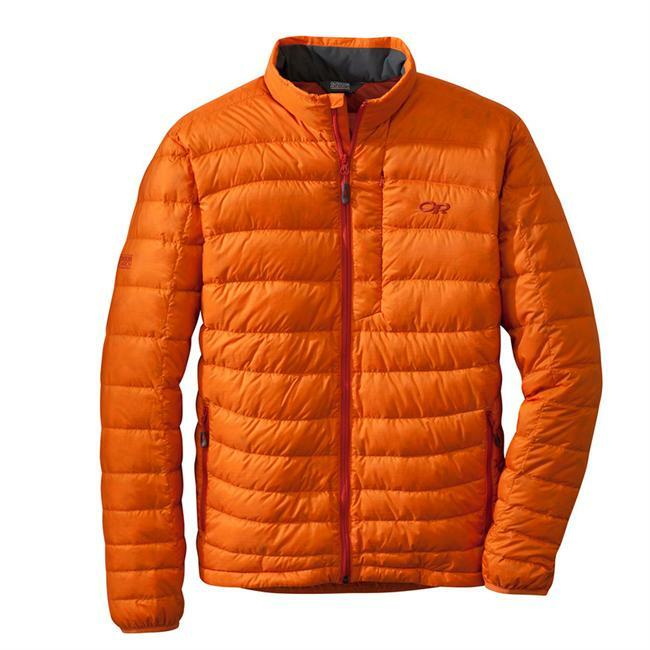 And lastly, although this isn't a super big deal for a trail jacket, it just looks good. Clean fit, cool colors, and just technical looking enough. OR sells these for $225. In my experience that's money well spent. But these definitely pop up on sale. I bought mine for about $150 and I've seen them for less than that. You're getting more than your money's worth at that price. Every time I start looking for a replacement to retire this one I end up holding off because it isn't necessary. I am starting to have a little trouble with the zipper but, other than that, it suits my needs perfectly so I'll probably go back to it again. A good, solid puffy that will last. Great review, TJ! Thanks for taking the time to share it. And you're right that this is a good time to buy a puffy. Outdoor Research is great for returns, even if it's your fault. Warm and comfortable. Zipper works great. With the first Transcendent Hoody I hiked the Bonds last winter and was in very strong winds getting blown over and falling in spruce traps. I couldn't change jackets and ripped the jacket a couple times. I called OR told them this story and asked for a place in N.H. that could repair the rips. The customer service rep said I can do better than that, give me your address and size we'll send you another. 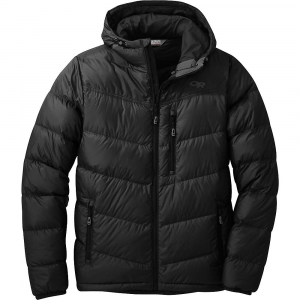 This is a great down hoody jacket like other well known brands, but the two service calls I made have been 5 stars. I'm 5'10" 160 lbs. I wear a medium. 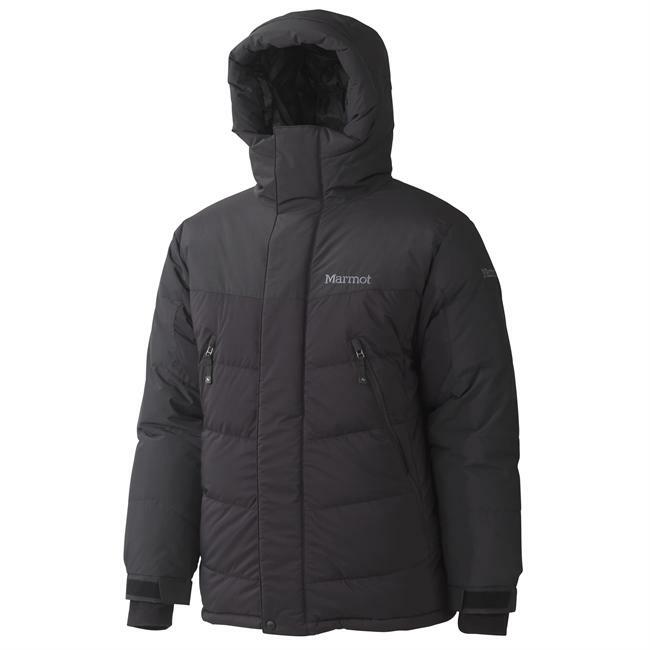 For its weight, this jacket keeps you warm, if not too warm while moving. If you are standing still, you will need more layers, but hey, it's 650 fill, not 850. Really is great for its price, and has a really nice secret zipper on the front left chest. When I say secret, I mean it! You would not know it's there if you didn't know to look for it. Stuffs well, and repels water moderately well. I did however add some protective rain repellent, but I feel if I didn't, it would work well even still. Would give this 4.5 stars if the down didn't leak... I must say, it does not leak a lot, but there is always a little here and there. Killer down jacket and a great fit! 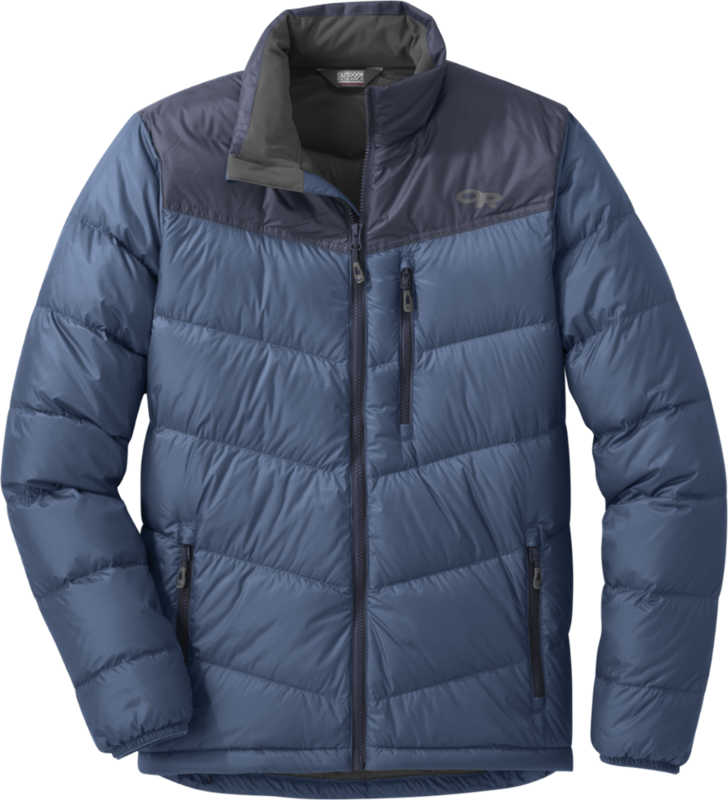 I’ve had many a down jacket in my time and the Transcendant stands among the best I’ve tried! The hood is perfect for keeping me extra warm while still providing great visibility and movement, and fits over my climbing and ski helmets. The color selections are rad too! Welcome to Trailspace, Ben! 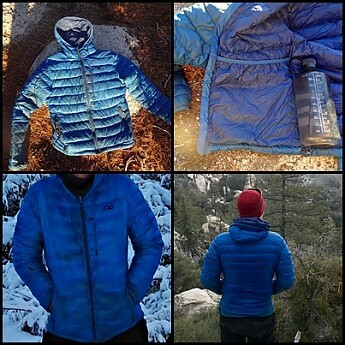 We'd love to hear more about your jacket and any of your other gear worthy of a review. It leaks down like crazy! This jacket is light, windproof, and reasonably warm. However, it can't be used in "non-outdoor" activities since it leaks A LOT of down every time your wear it. It's simply annoying and shameful to take off your jacket and look like you've been hugging a chicken. Also, once the down gets attached to your clothes (mainly regular t-shirts), it will never leave them, no matter how many times you wash it or brush it. If you are looking for a thin down jacket, I'd recommend some other brand/model. 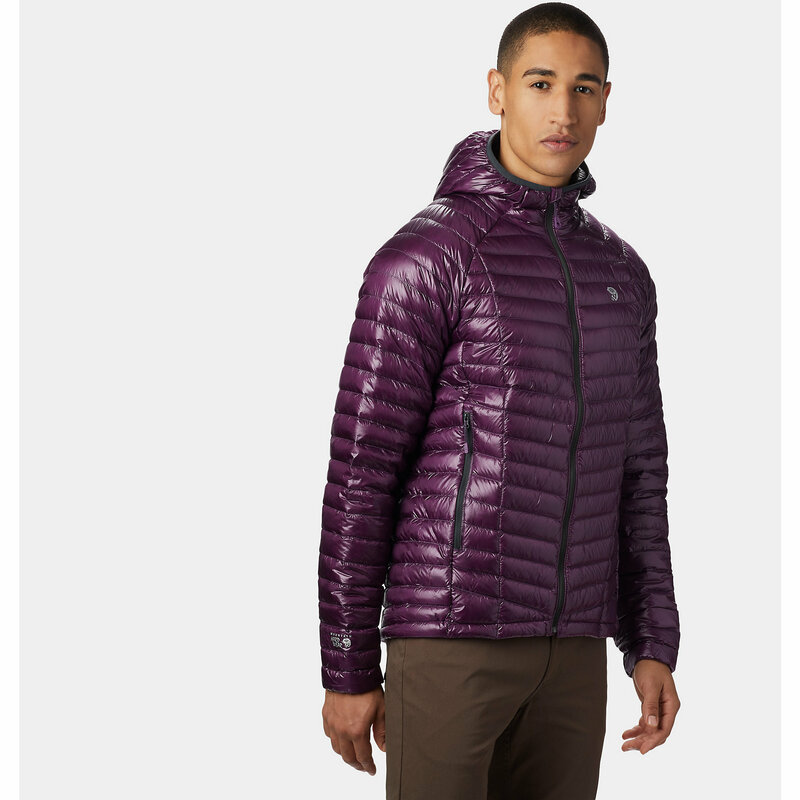 I would NOT recommend this jacket to a friend. DON'T BUY IT! I have the same problem with my Stoic cardigan. Feathers everywhere. Gotta' say that my experience is a 180 from yours. The only down I've lost after a few years of heavy use, both on the trail and in camp, is from rips when I've hit a branch or something. It definitely has some tenacious tape on it but the seams are still solid. Hope you sent it back to OR. They've got a great return policy if you're happy with something. If you want to stay warm and feel like you're wearing something as light as a cloud then you should pick up this jacket. 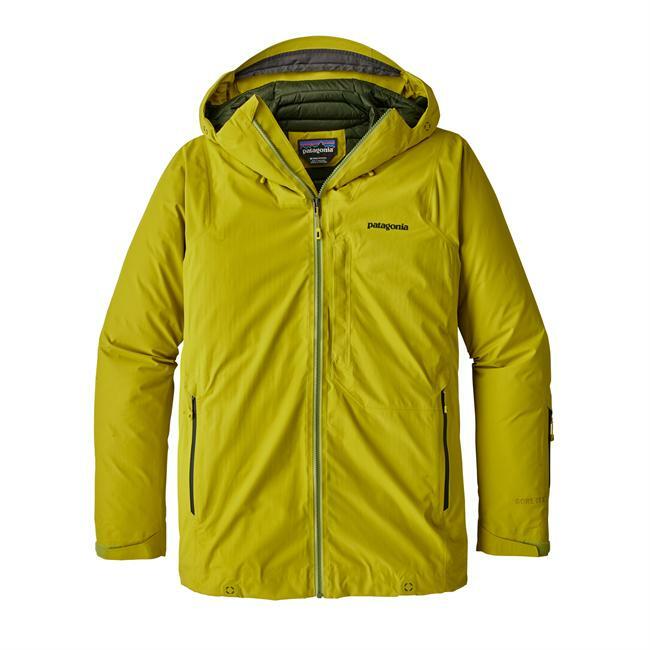 It's quite reasonably priced compared to other brands' comparable options and with Outdoor Research's lifetime satisfaction warranty you really can't go wrong. It fits nice and snug. I'm 6'2", 160 lbs and I wear a medium quite comfortably. I can get a couple of layers underneath or use it as a layer under a shell. When you wear this jacket it's like you're being enveloped in a warm cloud that might just float away. Mine is 800 fill, although they've gone back to a 650 fill in the current model. 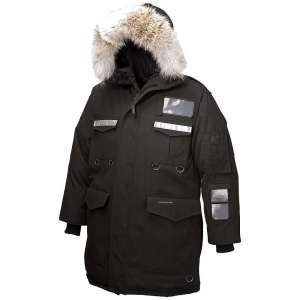 The jacket is fairly windproof and with a shell I've used it in temps down to 10°F. Has held up wonderfully over the two years that I've owned it. Packs nice and small into its own inner pocket. The hood is a nice touch and with the draw-cords you can get it form fitted. It's big enough to wear a helmet underneath. Like all Outdoor Research gear it's well made, priced quite competitively, and with the lifetime warranty definitely a product worth adding to your collection. Perfect for the ultralight backpacker. Warm and comfortable with a great attached insulated hood. Highly compressible. Very low weight. Perfect with a good baselayer and a shell. I have used this for two five-day trips and would have given it 5 stars except it loss a lot of down during my first trip. Only small particles. Still an excellent jacket.